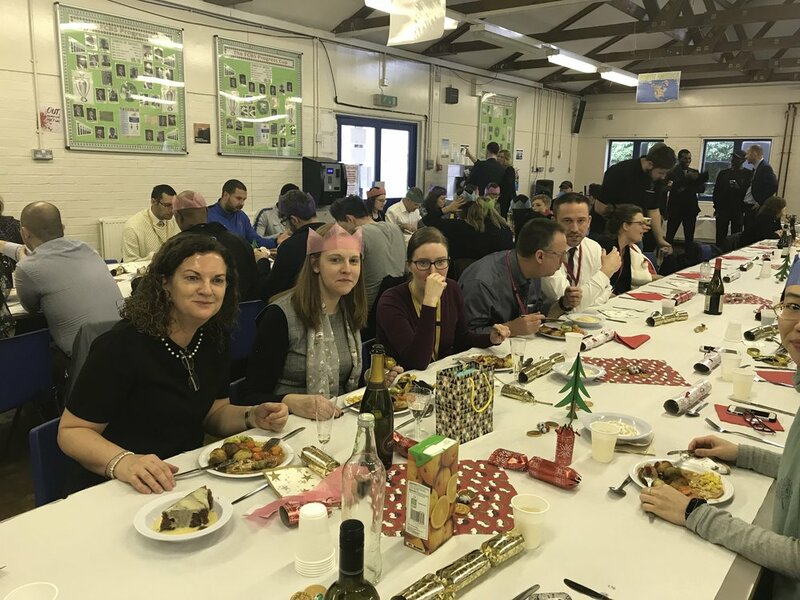 On the last day of term, all our students left at 12pm to begin their Christmas holiday, and as a treat to all staff, we all participated in a whole Trust Christmas lunch. 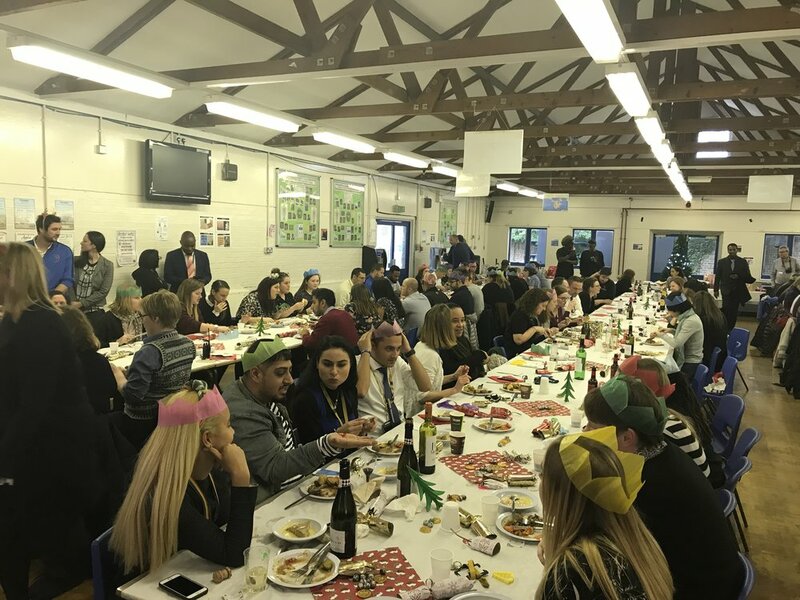 Staff from Fulham Cross and from our Enterprise Studio made their way to Fulham College to sit down and enjoy a lovely Christmas meal together. Festive carols played during the lunch, alongside pulling of crackers and the handing out of all the Secret Santa gifts. The traditional Christmas meal, followed by dessert, was truly delicious and we would like to thank our amazing catering team for providing us with this parting meal before we all made our way home for Christmas.